In 1973, Nursery Two became a corporation, incorporating under the Incorporations Act. The object of the corporation was to operate a nursery school in the City of Peterborough. The by-laws, the “Resolutions of the Board of Directors” were drawn up and enacted the 1st day March, 1973. In 1979 Nursery Two received funding from the local United Way. 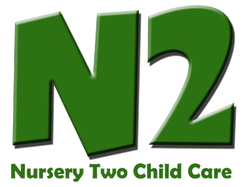 In 1981 Nursery Two was granted status as a permanent member agency. Prior to becoming a United Way Member Agency the organization registered as a charitable organization. Nursery Two is the result of the hard work and dedication of many people who have contributed time and money to its purpose. Since its formation, the agency has been active in primary prevention and service to children with special needs. In the first years of operation, many staff were paid minimally, depending on what was left over in fees after rent and supplies. Staff took the well-being of clients to heart, even contributing groceries when needed. This spirit of dedication continues today in Board Members, staff and community members who feel a strong commitment to the principles and objective of Nursery Two. In 2000 we expanded our Transportation Program. The Corporation owns a van that is used for our Transportation Program. We offer transportation to children that require assistance to and from our Program. This program primarily services children living in crisis. There is always a wait list for our Transportation Program. Nursery Two is committed to helping children and families living in poverty. Since our expansion in 2006 we have continued to offer additional programs to children and families living in crisis and /or poverty. We went from a program that offered 22 childcare spaces per session (44 spots total per day) to over 118 spots per day. The first week that we opened at our new location we received over 100 phone calls from parents needing care. This reinforced to us that there was a need for our Program in the Community. Over 25 % of the phone calls were for children identified as either having a Special Need or living in Poverty. We also added to our waitlist for our Transportation Program therefore indicating to us that there was further demand for assistance with transportation. Nursery Two is also fortunate to receive some Corporate Funding from local businesses.